I love the IAAPA Expo. Sure it’s great to get to taste the latest flavor of Dippin’ Dots, but it’s also a great way to connect and reconnect with some of the brightest people in the industry. This year was my favorite by far, mostly because of all the great people I got to meet and hang out with. Two great new folks I got to meet were Kim Skaggs and Amy Briley from Six Flags Magic Mountain. They presented a great education session called, HR: Where the Thrills Begin, where they outlined some great strategies for recruiting, training and motivating a large seasonal staff. What struck me was the example they used that many of us can relate to when it comes to supervisory and leadership training. It goes something like this: “Here are your keys, here’s the radio. Go be a Supervisor.” We probably all know someone who might have been trained like this, or we have used this tactic to train others. No surprise… it’s usually not all that successful. Then I started thinking about the keys. To open a door, you need the right key. You may have a plethora of keys, but if none of them fit the lock you are trying to open, you’ll fail. Now think of those “keys” as knowledge, information, and tools to be a supervisor… people still need the right “keys” in this case to unlock the secrets of dealing with a difficult team member, motivating a seasonal workforce and not playing favorites. Where do those keys come from? 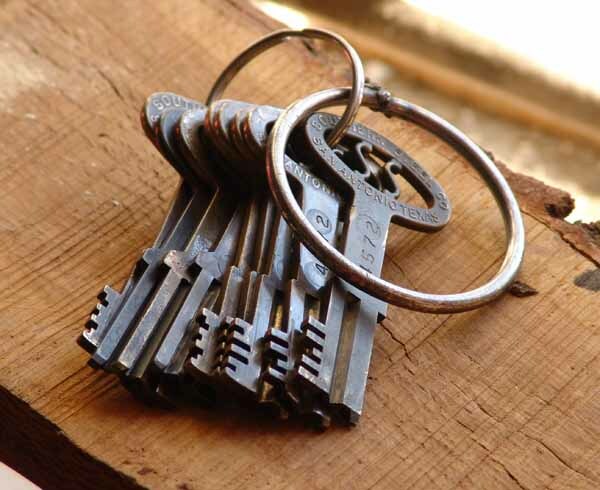 Do we provide enough of the right keys to our up-and- coming leaders, or do we set them up to fail? I know many of you have come up through the ranks, paid your dues and have become successful leaders in the industry. (You are some of the “brightest people in the industry” I mentioned earlier.) And because of that, I want to hear from you. I have started a new page on the blog called Suddenly Supervisor, where I would like to collect your best stories, tips, resources, links, books, videos, or anything else you would like to share that might make someone else’s transition to leadership a little easier. I know a lot of you have great stories – who will be the first to share? Act on instinct – or should we? Here is another fascinating TED talk. It honestly took me a little while to wrap my head around it, but the more I tried to explain the concept to others, the more it made sense to me. Don’t feel bad if you have to watch it twice like I did… it’s worth it! Enjoy!